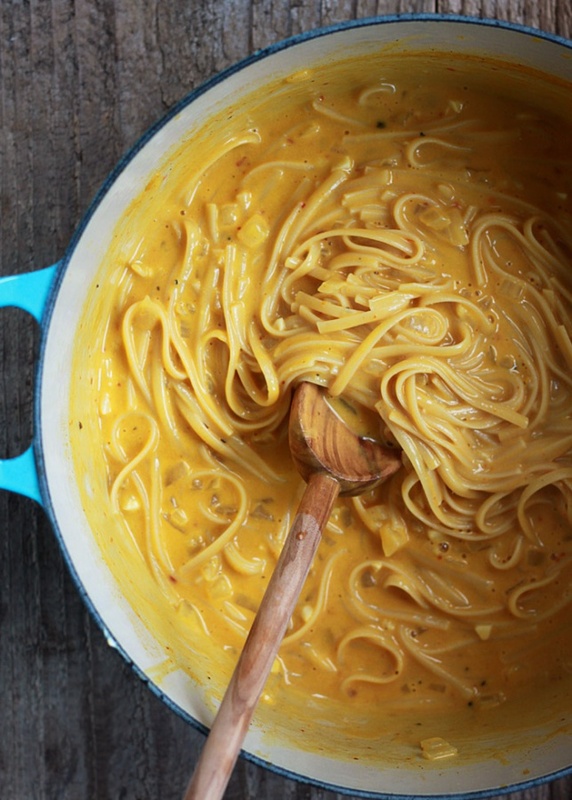 One Pot Creamy Pumpkin Pasta By Karen Raye (Kare) from Kitchen Treaty - Luxuriously creamy pumpkin pasta in 20 minutes! It’s possible with this super-simple vegetarian one-pot pasta recipe. My favorite easy fall dinner.